The tri-island destination has been recognised for its outstanding performance and partnership with the global industry company. Announced on 31 January 2018 at the Caribbean Hotel & Tourism Association’s Travel Marketplace in Puerto Rico, Expedia named Pure Grenada, the Spice of the Caribbean, as the Caribbean Destination of the Year 2017. 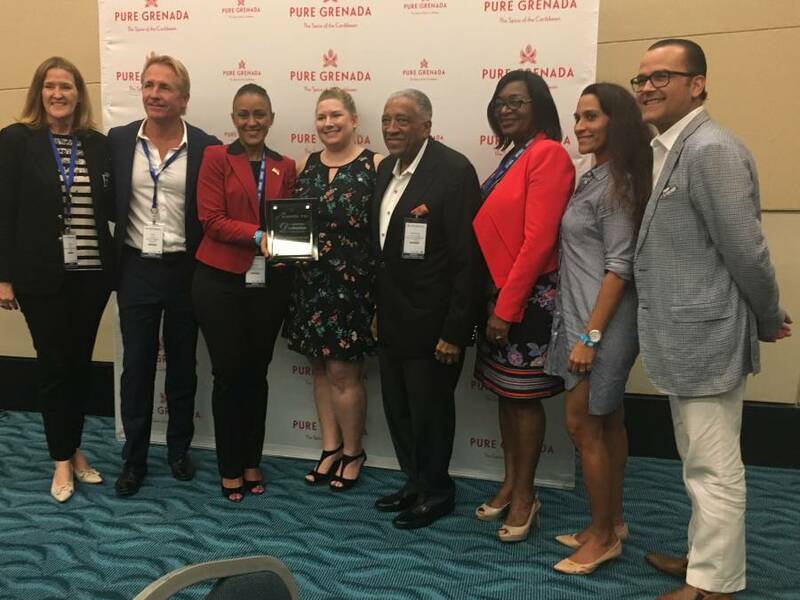 The coveted prize was presented to members of the Grenada Tourism Authority (GTA) at a press luncheon held at the Puerto Rico Convention Centre during the 2-day industry event. Those in attendance to accept the award were; Patricia Maher, CEO of the GTA; Francine Stewart, Marketing Manager, GTA; Christine Noel, Director of Sales US Market, GTA and delegates representing the destination’s various hotel and tourism products. The annual awards recognise original and ground-breaking partner campaigns that demonstrate exemplary innovation, creativity and success in digital travel marketing and advertising. Grenada’s 2017 campaigns exemplify innovative and collaborative ways to engage travel audiences and drive impactful results. Expedia Inc works with 85 properties in Grenada and Carriacou. 2017 proved to be fruitful for Pure Grenada as it experienced an overall increase of more than 8.14% in stayover arrivals. This, coupled with the island’s many tourism developments and hotel renovations, allowed the destination to flourish and stand out amongst the rest. The destination expects a strong upcoming year with additional developments, vigorous marketing efforts and increased airlift to match demand.